Path Solutions and its iMAL core banking system have beaten Temenos and Oracle FSS to a core banking software deal at Trustbank in Suriname. This is the first core banking project for the Middle Eastern vendor in the Americas. Trustbank – the first Islamic bank in South America – will implement iMAL for core banking and investment management activities. 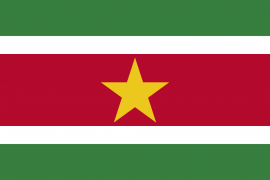 The new system will be rolled out across the bank’s four branches in Suriname. The work is expected to start immediately and to be completed at the end of September 2017. The deal was sealed following “a comprehensive assessment” of a number of international vendors by “a senior management team from different business functions at Trustbank”, Path Solutions says. The winner states it was chosen “based on Shari’ah compliance, product functionality and technological superiority”. Bank Assafa (subsidiary of Attijariwafa Bank Group) is Path's third client in the country.